It took them all 300 balls to do so, but the Bangladeshi women finally dismissed Ireland women and in doing so, they continued a fine tradition of defending totals, especially against Ireland. Bangladesh Women have beaten Ireland Women by 39 runs in the warm-up match prior to the ICC women’s World Cup qualifiers. Kendal and Garth started well for Ireland chasing 236 runs but their efforts proved in vain at the end. Towards the end, wickets were falling like cascade and asking-rate mounted to the higher. No Irish girl could cope with this tough situation on typical sub-continent track and got all out by 196 runs. 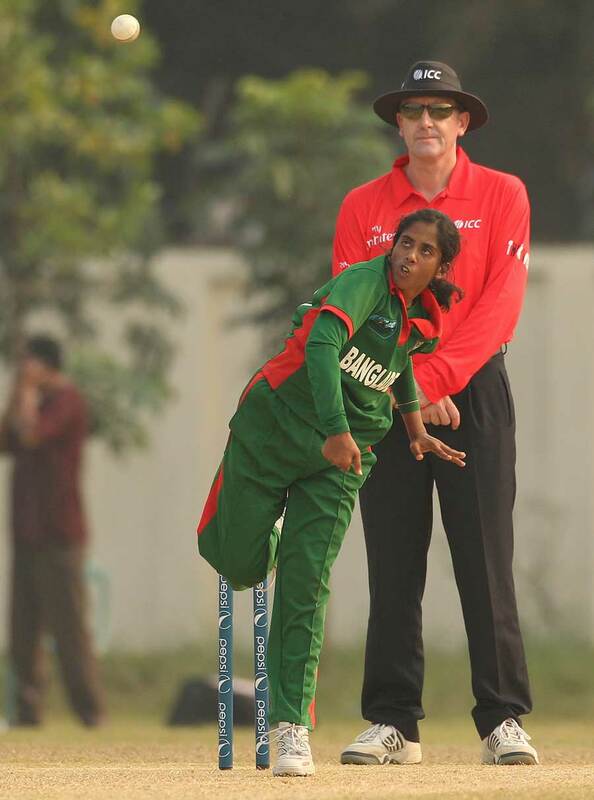 Khadija-tul-Kubra took four wickets and caused the main damage to Irish middle order. Bangladesh women were confident with bat today. They suffered a lot in batting section all through the home series against South Africa but today they were seemed to overcome those blunders. Openers started decently and Nigar Sultana scored fifty playing at the late order. Bangladesh, however, still need to improve, as their middle order didn’t click today. Bangladesh lost their fifth on 128 but Nigar, along with Salma, put a partnership of 77 runs which eventually proved as the savior. Bangladesh will face Papua New Guinea in their first match of the qualifers.